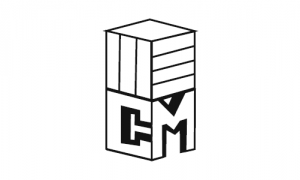 Business description from prospectus – CMM Infraprojects is engaged in the business of construction and development of infrastructure projects in Buildings and Roads on contract basis for the last ten years. The promoters of the company are into the business for the last thirty-five years. The company is an Engineering, Procurement and Construction (EPC) company with experience in end-to-end design and construction of various projects including Housing Complex, Commercial Complex, Hospitals / Healthcare, Corporate Offices, Education Institutions, Defence Offices, Irrigation, ST Parks, IT Offices, Sports Complex, Automated and manual Car Parking, Sewerage, Highways / Roads, Bridges and Railways. It claims to have executed multiple projects with the Government(s) / PSUs / Corporates & various other organizations across different sectors and verticals across the country. CMM Infraprojects IPO allotment status is now available on Link Intime’s website. Click on this link to get allotment status. I had applied for this IPO but while checking my allotment status it shows “No record Found”. Can anybody guide me ? ?